The vest contains 20 pockets for carrying 40mm high explosive ammunition and 4 longer pockets at top of the vest for 40mm pyrotechnic cartridges. Each grenade is held in place in the pocket by a flap and snap fastener closure. 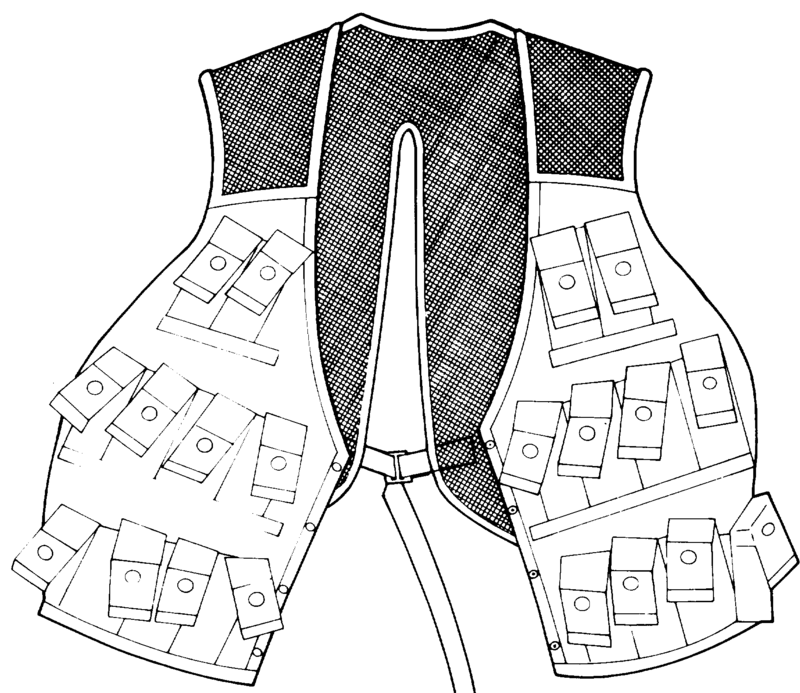 The vest has hook and pile front closure reinforced with snap fasteners. Proper fitting is provided at the back by means of a strap and quick operating buckle. The front of the vest and pockets are made of OG-107 7.25 oz. nylon duck with raschel knit nylon mesh over the shoulders and back to give increased ventilation.